Why Do Players Wear Eyeshields? Watching a football game is a favorite pastime in a majority of homes. But besides the entertainment derived from the sport, a number of us can’t really be blamed for assuming a number of things about the game which is especially is true regarding the kind of gear donned by the players. More precisely, I’m willing to bet that it’s only a handful of people who can really pay attention to the football visor. But here we are and you can sit back rest assured that you are in the right place for a small lesson on this important piece of equipment. Simply put, the visor is that curved piece of plastic which is attached to the players mask and covers their eyes. Besides the football helmets being as protective as they are, the more recent addition to the whole package affixed to the mask has been known to offer the players a wide range of benefits. Here are the best brands and their top quality products in my opinion. 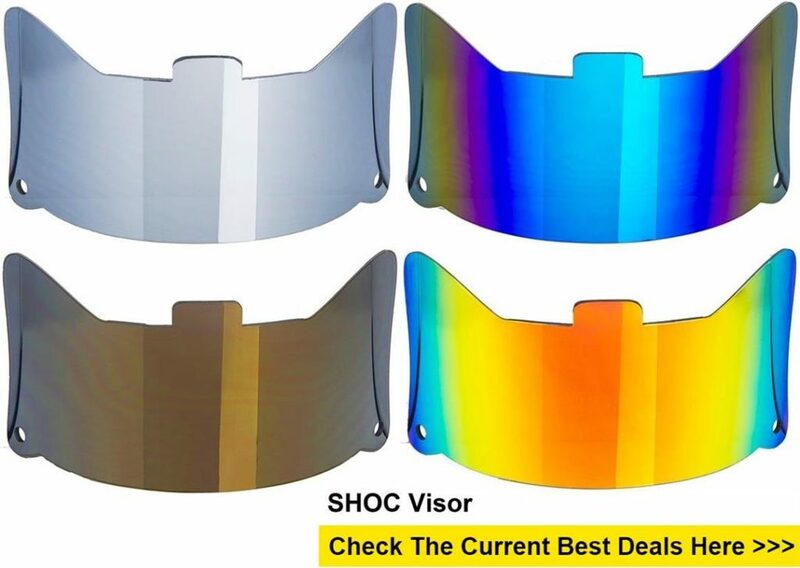 This visor offered by SHOC which is an Australian based sports company has got a ton of options to offer as compared to many other visor brands. For many years this Melbourne-based company has been developing their brand of visors to fit both adult and youth football and lacrosse masks. There is a range of over 500 different styles of facemasks between a number of helmets that are used today in the field and not all of the styles have been tested. Consequently, SHOC visors are bound to fit easily as compared to others. The most popular adult and youth helmet and facemask styles from Schutt, Riddell, Rawlings and Xenith have all undergone testing for compatibility with SHOC visors. The smoke and Iridium colors are tinted at a transmittance of 40% and they are recommended for use in the daylight. Clear options come in handy in conditions of low light. Visors from SHOC are exceptionally reflective. 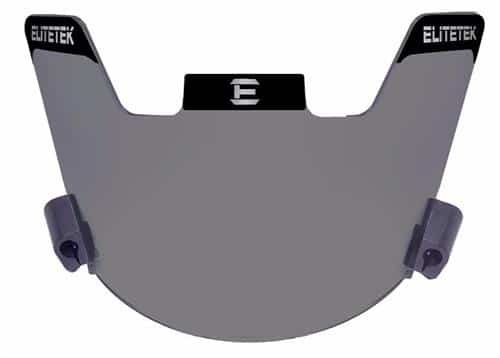 With the EliteTek Football Eyeshield, players are able to use it on any kind of helmet in their ownership as it has universally fitting attachments. The design of the attachments is also in such a way that it can fit on both adult and youth helmets. This visor comes with anti-fog properties which imply that whatever the weather conditions out there, you will not be under any hindrance to play. 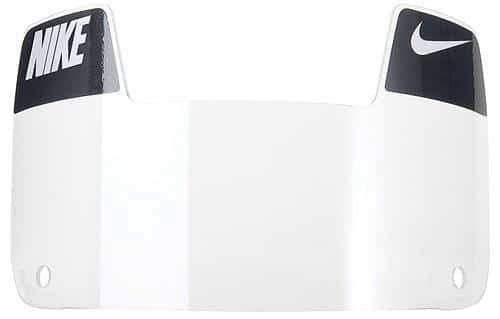 The anti-scratch coating on this eye visor ensures that you don’t have to worry about the visor getting scratched. Clarity of this eye visor is also not compromised regardless of the fact that there is an extra coating on it and as a matter of fact, it does the opposite. The anti-scratch coating performs an important role in reducing the blue light and glare from the stadium lights and the sun. These visors’ end result is that they achieve being both protective and clear at the same time. The tint is one of this visor’s most acclaimed feature and the company places it about 30%. This enables the visor to be both protective and clear hence protecting the player from both UV and rays from the sun. With this visor from EliteTek, you are assured of some of the best visibility that you can find amongst a number of visors as it doesn’t have tint. 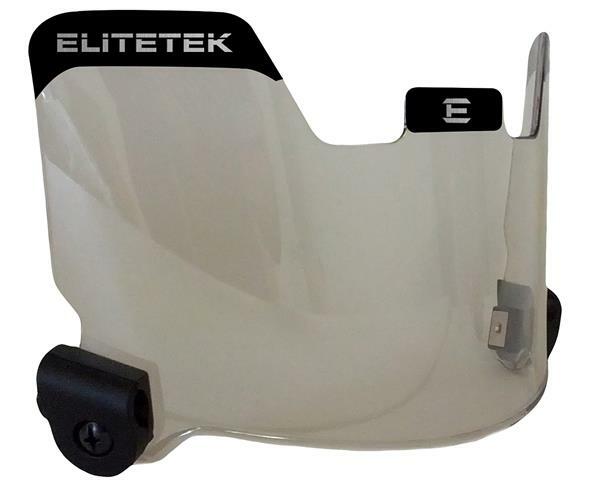 All youth, high school as well as college leagues have all approved this EliteTek Visor and Eye-Shield and you can thus put it on confidently while on the field. The EliteTek Visor and Eye-Shield are universal which implies that whatever the helmet size, whether youth or adult, it will surely be able to fit. The two clip system contained therein also ensures that attaching and removing can be accomplished with so much ease. Also applied onto this visor is the anti-scratch and anti-fog coatings. These first of all ensure that your vision isn’t obstructed either by scratches which affect how the visor deals with glares or fog as it can really be annoying wiping it off. This visor finally comes shatterproof which means that its durability is assured and that your safety while playing is certain. 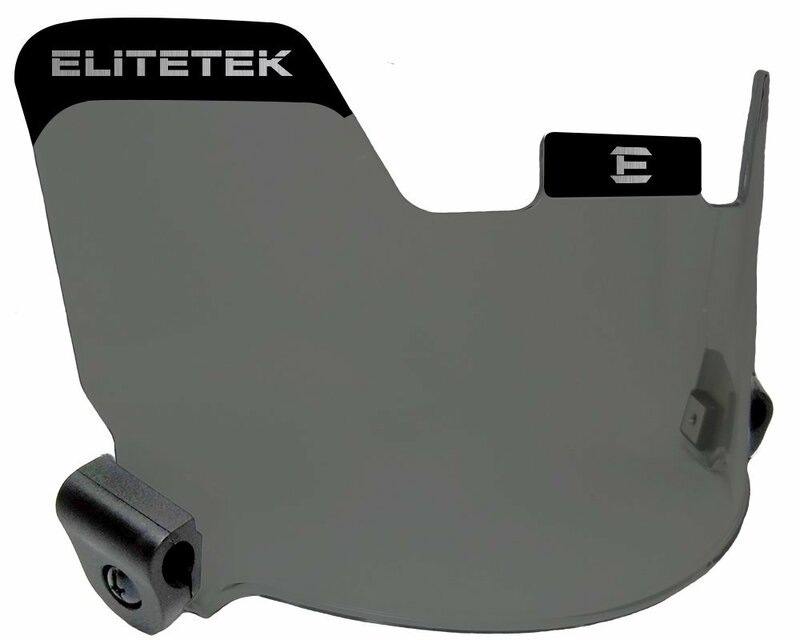 When compared to the other two Elitetek visors we have discussed above, this other visor from the company is usually considered a smaller brother of the two. A major difference between the smoke tint and light tint is the fact that the smoke tint is at about 30% whilst the light tint is about 15%. The light ensures to provide you a tint benefit without making such a big deal. And just like the older brother, this visor’s tint protects the player from the sun’s glare as well as the stadium light’s glare. In addition to that, it’s also able to universally fit all helmets and also arrives shatter proof as it’s made from polycarbonate which on top of that means that its way durable as compared to a number of visor brands out there. The scratch resistant and anti-fog coating haven’t also been left out just like its brothers above. The tint on this visor also works effectively in reducing light intensity reaching your eyes and the face thus offering you an additional layer of protection from bright light. 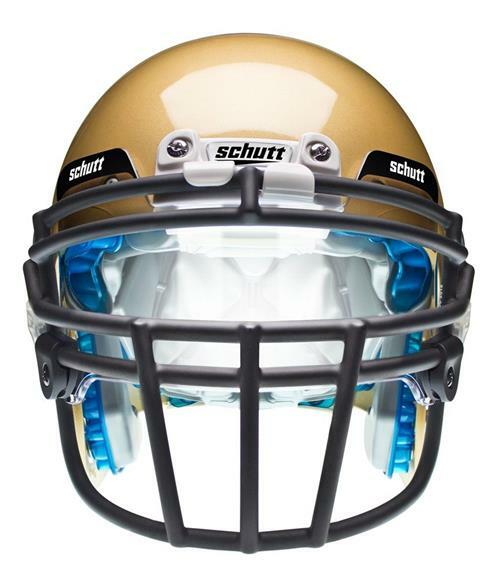 I have to say that the description of all visors I am mentioning isn’t entirely based on their looks but with the Schutt Sports Optics Elite Eye Shield, you surely have to give it props for its one of a kind look. Of all the others we have mentioned so far, this is one the most durable as its made out of an injection molded high impact polycarbonate. This is to simply say that this visor is shatter proof. When getting a visor, this is one of the things a player seriously needs to take a look at as safety out in the field is paramount. The visor comes very light implying that a player can’t feel the strain on the helmet as they use it. 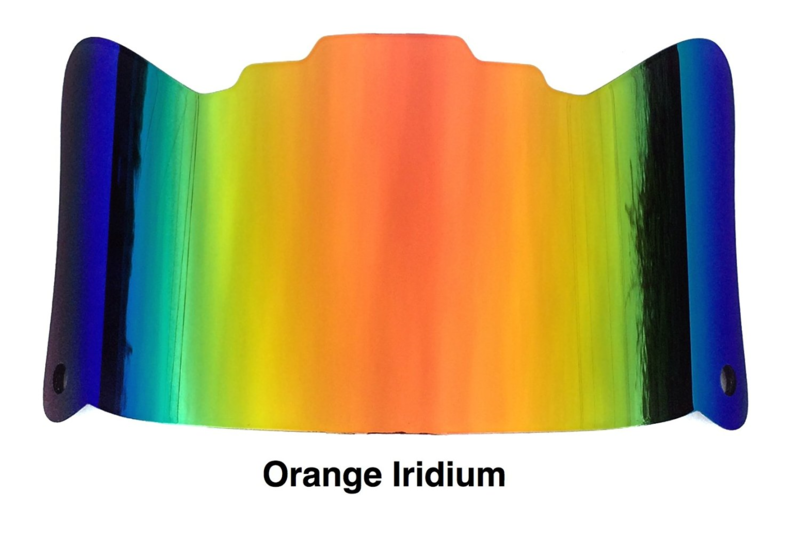 This visor’s tint is slightly small at 5% compared to others but its clarity is exceptional. This visor’s job in reducing the stadium lights intensity and sun glare to the eyes is exemplary. The Schutt Sports Optics Elite Eye Shield can also be customized with tab stickers that arrive in up to 8 colors. The Under Armour Football Visor is one of the best visors and good reasons exist as to why this is the case. One of these reasons is due to the fact that the visor is made from lightweight polycarbonate which is both light and strong implying that you are assured of all the protection that you need without having to add much weight to the one of a helmet. Additionally, this shield comes with a gray tint of about 30-50% which really helps in protecting a player from the stadium lights and harsh sunlight. The easy universal clip-on system that comes with this football visor allows ease of installation on about every helmet you can think of. The polycarbonate material mentioned above also means that it is shatter proof and it also comes fog and scratch proof. 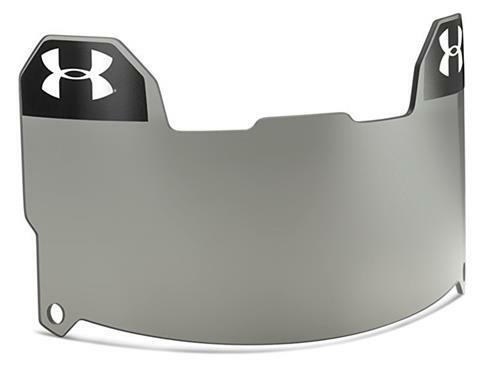 The design of the Under Armour Football Visor is such that a player’s field of view is increased while allowing him to remain focused on what is in front of them. A number of different stickers arrive with this visor all in different colors. 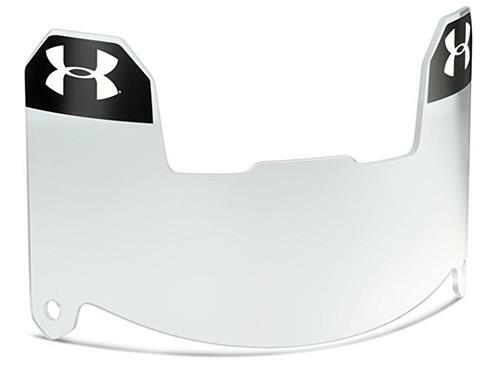 The Under Armour Football Visor is both a lightweight and clear football visor that goes the extra mile in ensuring that it helps a player in the game. The first way that it does this is by reducing the sun glare as well as that of stadium lights which ensure that no matter the brightness that might be around, a player faces no hindrances whatsoever. The make of this visor is from lens material meaning that it has the ability to increase and improving a player’s field of view. The company uses ArmourSight technology in its visors which ensure that they are both tough and durable as they are needed to be. Also added are the anti-fog and anti-scratch coatings on the surface of the visor ensuring a player clear view of the weather regardless of the weather. This visor also does a wonderful job in providing protection from the harmful UV rays as well as the blue lights from the stadium lights. For a play that is better and concentrated, these visors also do well in reducing the light intensity reaching a player’s eyes. It finally arrives with a number of tab logo stickers if a player wishes to have a visor which matches their uniform. This is a 3mm visor which is both sturdy and clear accompanied with a great look. 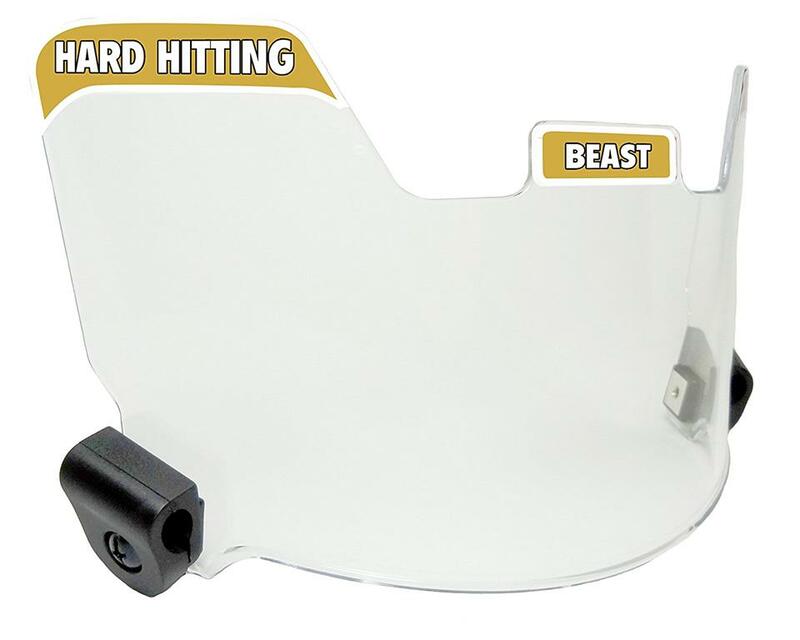 This visor’s make is of polycarbonate lens implying that not only is it astoundingly clear but it also is known to increase the field view of a player. The Unique Sports Football Eye Shield’s lens has both anti-fog and anti-scratch resistant properties. The make of polycarbonate of this visor also ensures that it is shatter proof which means durability. This eye visor is also made up of a wrapped lens which is reportedly able to reduce blind spots and helps in improving a player’s game. Another advantage coming with this form of a lens is that it helps reduce glare from stadium lights as well as those from the sun, it also helps in eliminating UV lights and blue lights from the stadium lights from reaching a player’s eyes. This lens precisely fits on a number of helmets as the attachments provided therefore ensure that it’s quite easy attaching it to the helmet. The lens also helps eliminate UV and blue light from reaching the face. 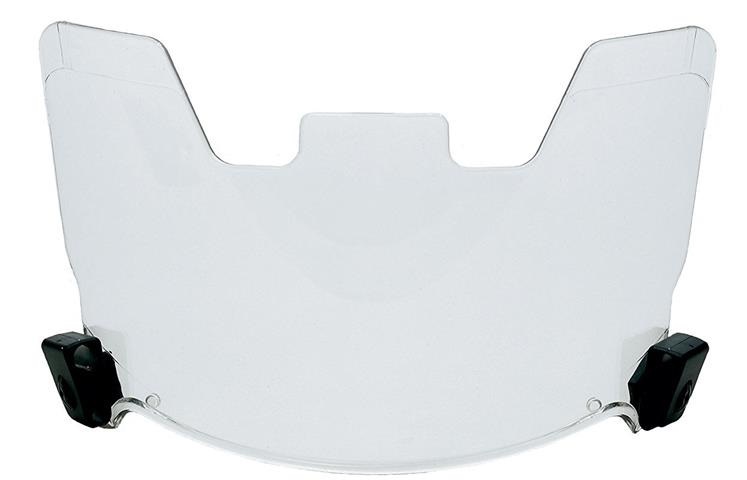 The Bangerz ProVu Football Eyeshield is unique because it’s mainly meant for players in high school. This football visor is under the certification of all the relevant football bodies and a player should thus have every comfort playing with it. Since it’s mainly meant for players in high school, it implies that for some larger size helmets out there, it simply may not fit. Nevertheless, this visor comes with a clip-on system that makes attaching and removal from both plastic and metal facemasks an easy task. It also arrives in a variety of colors including amber, white and clear which allow a player to get a helmet with the right tint. 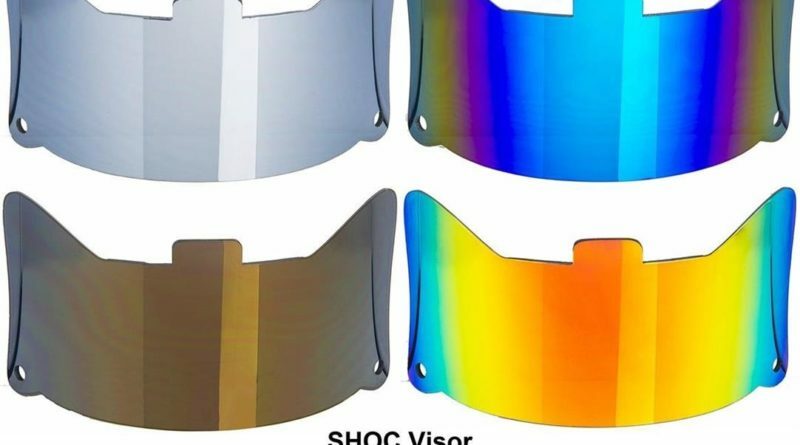 Despite the fact that the company behind this awesome visor is relatively unknown, this doesn’t cause a hindrance in its ability to provide players with adequate protection against harmful UV rays and blue light as well as the glare from the sun. The anti-fog and anti-scratch coating on this visor also ensures that optimum visibility can be obtained no matter the conditions that a player finds himself in. 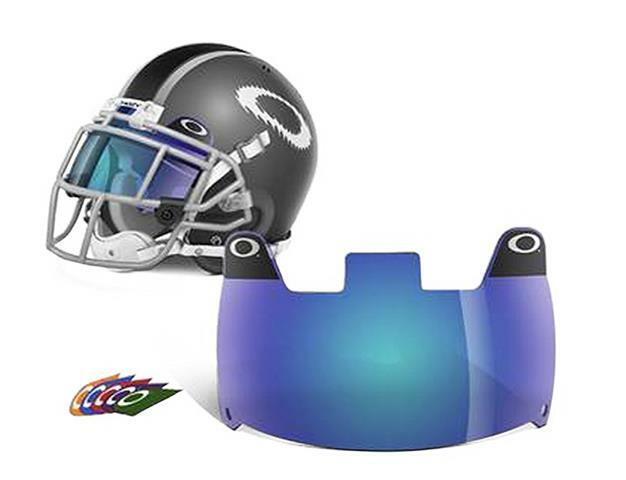 The Oakley Football Eyeshield is a second generation eyeshield which utilizes a number of modern technologies. First of these is the High Definition Optics Technology which allows the eyeshield and visors to remove the vision distortion found in polycarbonate visors belonging to the first generation. This eyeshield uses Plutonite which is a synthetic material allowing it to offer a durability much better than other eyeshields made out of polycarbonate. It is injection molded giving it a unique curvature which enables it to reflect glare in addition to offering amazing visibility in all weather conditions. The Oakley Football Visor also arrives with a peripheral view that is optimized and this is accomplished through contours contained therein created by the use of CAM and CAD technology. With this technology, this eyeshield has the ability to maintain clarity in vision on all angles. Plutonite is able to block 100% of UV rays and Blue light that a player gets exposed to when playing under the stadium lights. The one size fitting all feature means that you can fit it in all helmets, including youth and adult. The blue tint on this eyeshield doesn’t create any obstruction to view and is amazingly clear. 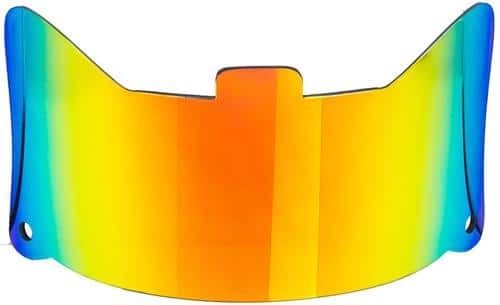 Optimal tint lenses also come with this eyeshield which gives a player the ability to optimize their visors and helmets for various conditions of light. 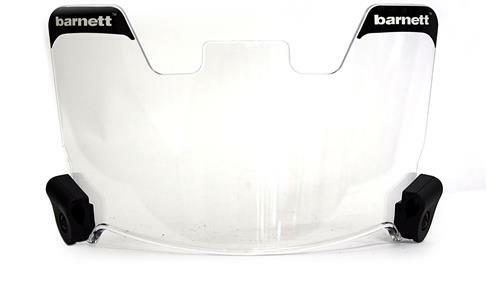 This Barnett clear visor has no tint. According to the seller, it’s approved by High School, CIF and Youth Leagues. The 2 clip system provides universal fits for both youth and adult helmets and allows quick and easy attachment or removal. This has high durability and clarity thanks to the anti-fog and anti-scratch coating. It also blocks most of the harmful UV/Blue light and reduces annoying glare as well as controls light intensity. This Youth Nike Gridiron Visor has a multi-colored (clear, white, and black) decal pack included in the package. The wrapped lens is shatter and scratch resistant. It’s a bit pricey compared to other brands. The primary function of football visors is for protection against eye injuries. When playing, a player is always at the risk of getting struck in their eyes by the fingers, feet and the football. Chances are especially high when only wearing the typical mask which leaves their eyes exposed. But with a visor, the eyes are covered which ensuring that they are protected against poking and blows. According to a research conducted by the Ohio state university, an impact approximately 562 pounds in force can be handled by a football visor which this implies that a player is able to sustain a blow from a kick or heavy blow targeting the eyes. Tinted football visors help out in filtering out bright sunlight which is the same way that sunglasses work. This is really advantageous to the player as it helps them to improve their vision. Players who are light sensitive are greatly aided by the visors as with the visors, the need to worry about being blinded temporarily or losing sight of the ball in case of bright sunlight is eliminated. For athletes with less than perfect vision, prescribed visors are available for them. Their function is to allow them to properly see without ever needing contact lenses, glasses or other corrective lenses. It’s worth noting that a prescription visor unlike glasses is not likely to fall off in event of rough play. A player’s eyes can be hided from his opponent when wearing tinted football visors. This can prove an advantage while on the other hand it equally poses a safety risk. If a player gets knocked out or injured, there is need by the person providing first aid to see the eyes of the player so as to properly ascertain the player’s condition. Due to this problem, the National Federation of State High School Football Associations, National Collegiate Athletic Association and even NFL have banned the wearing of tinted football visors. Some players can decide to wear particular visors as a way to express themselves. As the visors usually feature a range of colours from golden, black, blue etc. and patterns that can clearly be seen for the exterior, they can be used by a player to set him apart from other players. 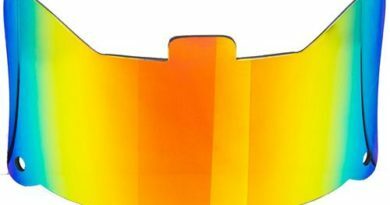 There have been a number of variations of the visors, the earlier versions that were either clear or smoked and others tinted but you currently can find them in a range of styles which range from black, gold, amber, silver, blue or gold. It’s however worth noting here that in high school and smaller leagues, all but clear visors are prohibited. This was a rule enacted to enable coaches and training staff to view a players face and eyes easily and also in event of a serious injury, to tell if the player is conscious. The NCAA and NFL also have banned using of visors that are tinted for the reason stated above but players who have eye problems can get special permission to wear them. Perfect examples of such players are Chris Canty and LaDainian Tomlison. Below are the main classes of visors in detail. 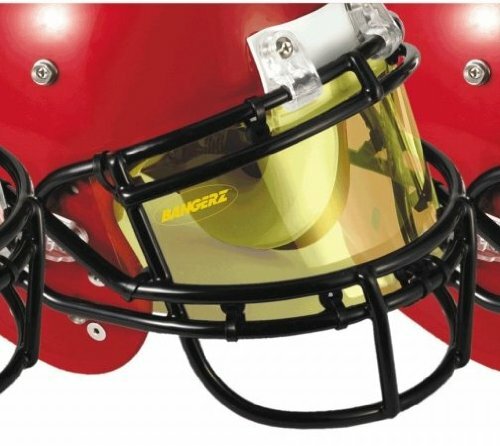 Tinted football visors – This type of visors are tinted and depending on the brand, the tint differs. Some visors’ of certain brands have a tint of 30% whilst others can be as low as 5%. There exist rules on tinted visors that we shall see below. Lacrosse Helmet Visors – These type of visors are manufactured to mainly serve the lacrosse player helmets. Youth visors – This kind of visors best fit youth player helmets and might fit some adult helmets albeit tightly or might not absolutely. Adult visors – They best serve adult player helmets. Legality of the football visors has often not been clear to many us. As you will come to find out, the issue with the visors came to life mostly due to the question on whether or not tinted visors are legal. The rules for high school football by the National Federation of State High School Associations state that visors ought to be made using clear and rigid material. Visors which are tinted are not allowed and no exceptions to this rule exist. If an athlete has a medical need for eye protection which must be tinted, he must wear athletic goggles or tinted eyeglasses. The 2013 and 2014 rulebook of the NCAA has two specific rules which are related to visors. The visors might only be having the distributor or manufacturer’s label present and the label shouldn’t exceed 2 and ¼ inches. The other rule says that the eye shields ought to be clear, without any tint and made from molded material. Players who violate this rules won’t have the eligibility to play unless they see to it that their equipment has been changed to meet the criteria. While no exceptions exist according to the rulebook, individuals who have special eye conditions may get cleared medically and the approved by the NCAA to bypass the rules. It was in 1998 when the NFL changed their regulations on equipment to include visors that are tinted on their banned equipment list, this was to basically promote a uniformity in uniforms and equipment amongst the teams. A no play policy is also enforced by the NFL for equipment not meeting the guidelines. Players might also get fined for not failing to adhere to regulations on equipment. Athletes can obtain medical clearance to prove the need for a specific type of visor. Final thought: You might need to ask your coach/organization before buying the visor to make sure it’s accepted by your organization’s standard and rules.